Kottbusser Tor, Berlin in Winter. A cold Monday sidewalk in Kreuzberg. 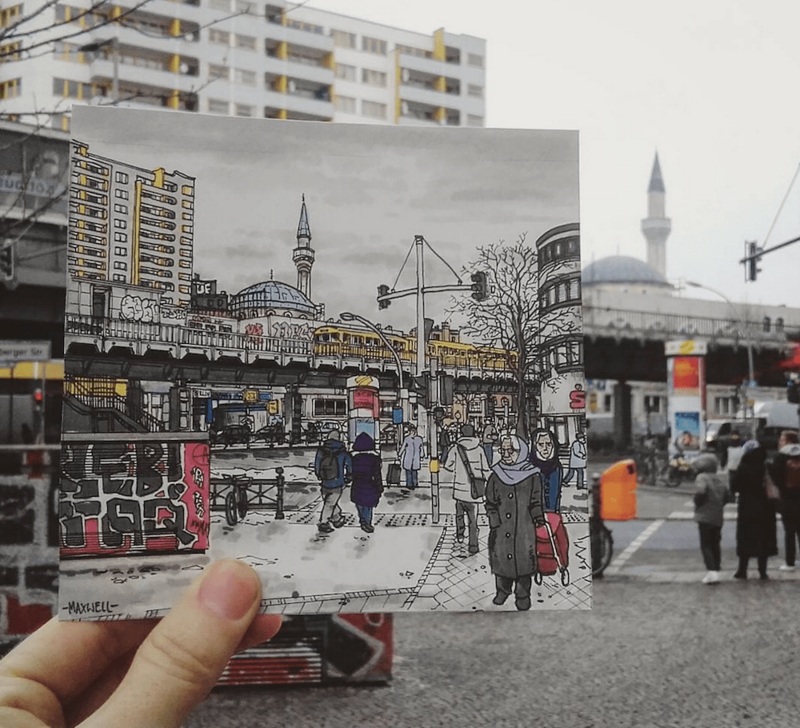 A larger and more detailed street sketch of a suburb in Berlin. Kottbusser used to hold a pretty bad reputation for a high drug/crime rate. These days not so much. It’s a great part of Berlin and down by the canal, past the cafes and bars is a great Turkish street food market.